Are you tired of reading texts ? 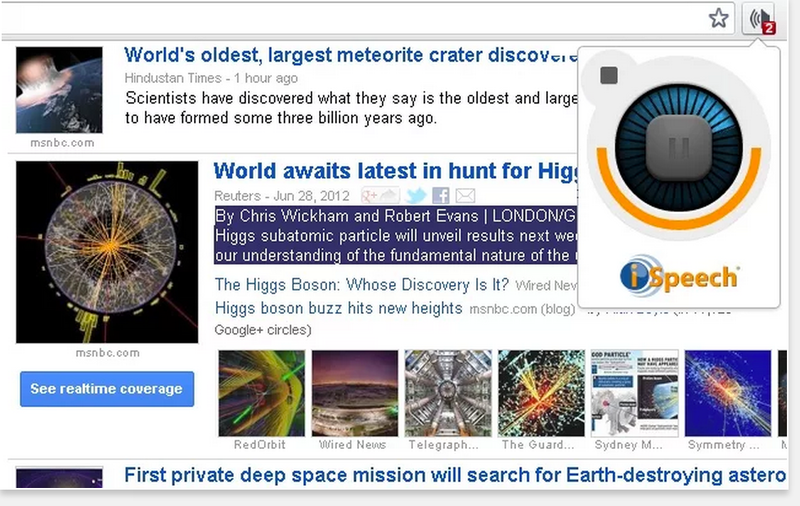 Here are three great free Chrome extensions that you can use to have text read to you. All of these extensions are free and are easy to use. I started the list with Announcify which is my favourite among them all but the two other add-ons are pretty good as well. Try them out and share with us what you think of them. 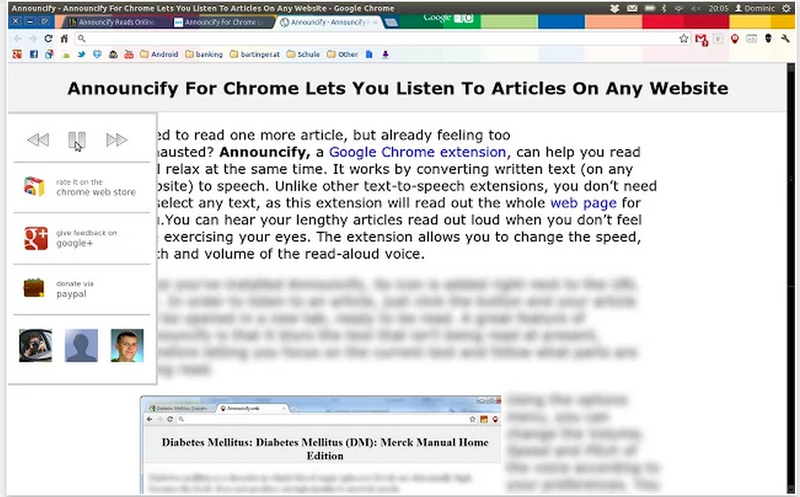 Announcify is a Chrome extension that reads web pages to you. This extension is free and easy to use. Jut install it on your browser and each time you are viewing a web page, click on the Annuncify icon and it will open up a new window where it 'll start reading out the text for you. You can customize some of its settings like : pitch, read speed, and volume. Select and Speak is another great Chrome extension that allows you to select text from almost any website and have it read to you. 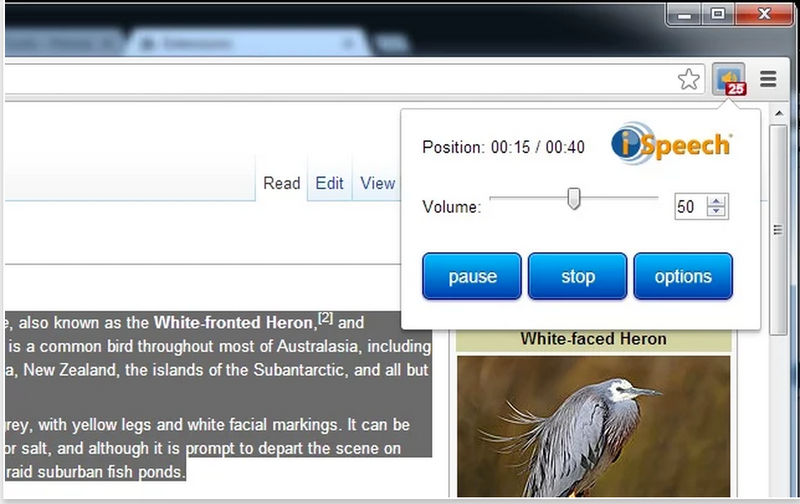 This extension includes over 43 iSpeech text to speech voices. To start using Select and Speak, install the app on your browser, select the text you want to read then click the icon to start listening.